The Jet Two-Bottle Insulated Tote is sewn for straightforward functionality. 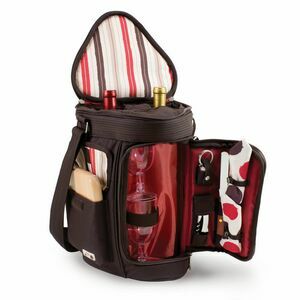 Sturdy nylon inlaid with insulating fabric keeps a pair bottles cool in transport, an interior pocket fits one corkscrew, and a sturdy handle slings easily over the shoulder. Off you go! 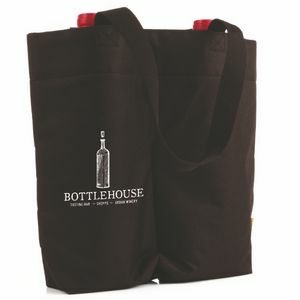 Our Jet 2 bottle insulated tote is a highly popular item and for good reason. 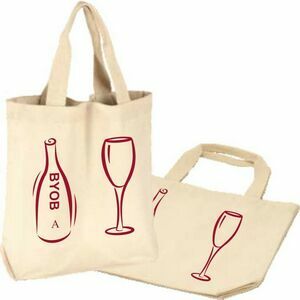 This tote bag is designed to not only keep bottles safe and in place, but also to keep them cool - or at room temperature. 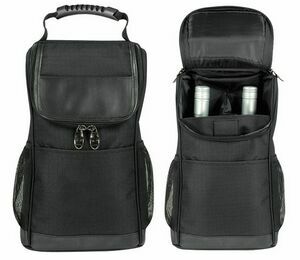 As an insulated bag, it retains the temperature of the bottles contained within it perfectly. This is hugely important for wine, which has to be consumed at the correct temperature (cold for white wine and room temperature for red wine). 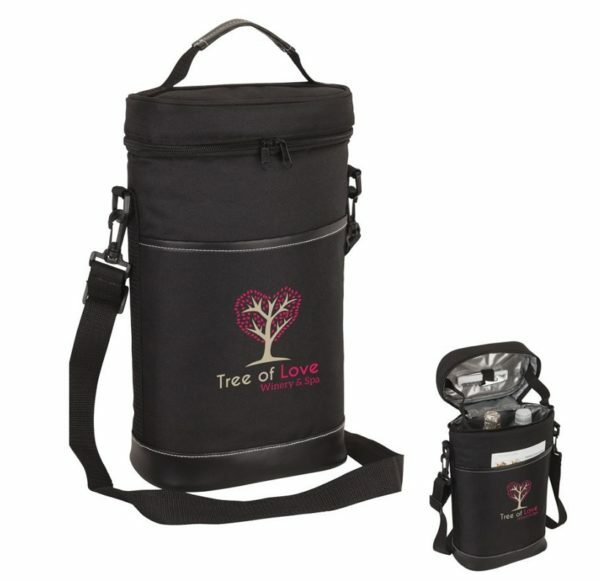 If you own a winery or other similar store, you will know that many of your customers purchase beverages for soirees, picnics and other such events, so they will surely appreciate a bag that not only helps them carry their purchases home safely, but that doubles as a method to keep the bottles at the right temperature. The bag, which is made from a strong sturdy nylon with insulated fabric, easily holds two bottles, preventing them from banging against each other and possibly breaking. 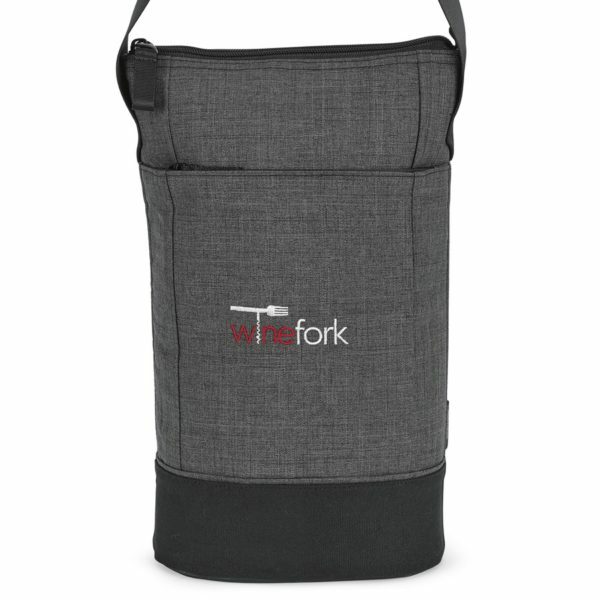 It also has a useful pocket in which you could place a corkscrew, or perhaps your store's price list. Additionally, it can be printed with your company's name and logo, which means it doubles as a marketing tool. Wherever your customer goes, your brand name goes with them. The bag has been designed to be durable and long-lasting, so you can guarantee that you will be advertised again and again as your customer continues to use it. The return on investment potential of these bags is tremendous. This is true not just because your customer will advertise you wherever they go, but also simply because they will appreciate being able to carry their purchases home in this bag. Happy customers are returning customers, after all. As one of the only stores that currently stocks this particular bag, we encourage you to visit our online shopping portable and to place your order.